Victoria’s Transport Ticket Authority has announced that it will share myki customers’ information with police, raising privacy concerns among the state’s commuters, according to The Herald Sun. Information such as passengers’ names, phone numbers, ages and addresses may also be shared with VicRoads, Ambulance Victoria and Metropolitan Fire Brigade. In addition, authorized public transport officers can now have access to private information to investigate traffic ticket evasion and other offenses. 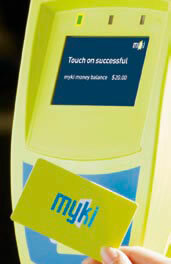 State Opposition has accused the government of breaching its Information Privacy Act, which states that customers can by myki cards anonymously, but according to Myki reps, the accessed information is minimal and securely stored in the company’s bank office.